It has never been easy for any developing nation to deal with the major power in international system on prescribed terms and conditions. 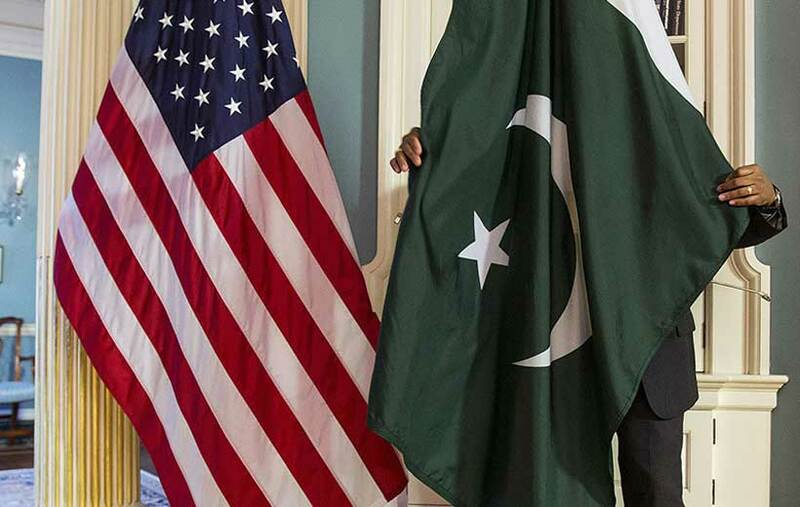 The case of relationship between the United States and Pakistan indicate different ups and downs based on super power’s interests in history. The course of bi-lateral relations of the United States and Pakistan has always been in a state of anticipated doubt and mistrust ever since the establishment of formal diplomatic relations. Historically, both countries have enjoyed different phases of engagement as well as estrangement. During Cold War, Pakistan opted for the Western Capitalist block led by the United States. But, during that period both parties had always been suspicious about each other’s dubious and insincere commitments. The United States helped Pakistan’s arch rival India in its border war with China despite being in defence agreements with Pakistan. Also, Pakistan was unable to secure the United States’ much needed support in its wars of 1965 and 1971 with India. Although, Pakistan’s efforts brought China and the United States closer in 1970s and Soviet Union’s invasion of Afghanistan brought new horizons of cooperation between the United States and Pakistan. The end of the Cold War provided the United States with the opportunity to solely dominate the global system. Hegemonic supremacy of the super power was proved in international system in the name of the ‘The New World Order’. But with the due course of time, the alliance with Pakistan could not last longer with the nuclear explosions of 1998. Pakistan had to bear many sanctions ranging from military sector to economic sphere. The Global ‘War on Terror’ once again brought these two countries closer as Pakistan became the front-line partner of the United States in war against terrorism because of its geostrategic importance. But at the same time the profound mistrust also continued. The United States’ tilt towards India giving it priority over Pakistan in regional and global affairs made Pakistan to look for alternatives. Civil nuclear deal, strategic alliance, China countering measures and economic oriented interests of the United States and India made the United States intentions clear. At the same time, internal pressure on Pakistani governments started arousing for illogically aligning with the United States. In May 2011, Bin-Laden’s assassination in Abbottabad further aggravated the situation. Regular drone attacks and Salala Check Post incident worsened the situation to the maximum. Resultantly, Pakistan blocked the NATO supply route for AISAF forces present in Afghanistan. Since then, the bi-lateral relations have been very fragile. American diplomats’ violations of local laws and murdering Pakistani nationals inside Pakistan in 2012 quite recently left Pakistani’s with the feelings of humiliation. President Donald Trump’s current tweets and South Asian policy announced in 2017 are clear indications of American intentions. The United States is giving India priority over Pakistan which is harming Pakistan’s national cause. Pakistan has done much more in securing American interests in South Asia and has suffered a lot in fighting terrorism but still its efforts have not been fully recognized by American administration. Although, it’s true that there is a lot more to be done to fully rout out extremism inside Pakistan and Afghanistan and more sincere efforts are required by all parties for enduring peace and stability in Afghanistan. But, at the same time it’s truly unjust to blame Pakistan for every failure. The fact is that the United States does not want to leave this part of the world for its hegemonic surveillance stature and international police man’s role. The great powers always tend to secure their international interests via aligning geographically beneficial partners but it should not be at the expense of other concerned states’ legitimate interests. Pakistan must come up with comprehensive strategy to deal with the recent India Mantra coming out of the American tongues. It has shifted its focus towards Russia and ‘all weather friend’ i.e. China, more than earlier but still a lot more work is to be done in this regard. Without culminating the root causes of all conflicts in South Asia, the United States will never be able to bring peace and stability in South Asia. Kashmir issue, arms race, Indian efforts to disturb regional balance of power, Pakistan’s political and strategic interests need to be dealt justly if the United States wants to preserve peace and stability in South Asian region. Equal opportunities of economic prosperity and civil use of nuclear technology along with balanced share in regional and international affairs should be guaranteed to Pakistan as of India. Similarly, if the United States sincerely wants to improve bi-lateral relationship with Pakistan, it must consider the actual position of Pakistan and must recognize its efforts for peace in the region and rooting out terrorism. Along with this, the United States should offer due economic and defence incentives to Pakistan. Apparently, the bi-lateral relationship has worsened with the recent diplomatic sanctions from both sides on each other, but still there are a few elements of hope that relationship can be improved. Recently, few statements from the White House officials are favouring the improvement in relations. It is also expected that in coming days high level US officials will visit Pakistan. Also, the recent telephonic contact between White House and Chief of Army Staff of Pakistan has lessened the heat to some extent. These efforts cannot succeed to the required level until and unless the United States shows its full commitment to resolve the pertaining issues like recognition of Pakistan’s positive role in fighting terrorism. Alongside this, the long-standing conflicts with India and Afghanistan also need Washington’s special consideration based on practical approach to bring enduring peace and stability in this part of the world. Quite recently, the news of putting Pakistan on grey list of Financial Action Task Force (FATF) can prove fatal for mutual understanding. FATF is global watchdog that combats terrorist financing and money laundering. The United States has major influence in this organizations announcements and actions. It is a popular impression that Pakistan is put under grey list with the consent of the Trump administration. Although, Pakistan has denied such allegations on number of occasions but nothing positive is coming out from the United States decisions on this issue. If the United States is not turning a blind eye towards Pakistan’s recent actions to kill prominent extremist leaders, it should relieve the pressure from Pakistan. Furthermore, the United States sincerity should accomplice with its efforts to admit intelligence sharing of Pakistan’s military to provide the US with success in securing its goals in Afghanistan in combating terrorism menace. Hence, based on realistic approach it can be hoped that the present US administration should realize the facts in geostrategic environment of South Asia to improve bi-lateral relations with Pakistan.